There was every intention to commute by bike today, but things piled up enough to force a sleep in. I usually awake every day just before 5AM, and make the decision to ride or roll over. 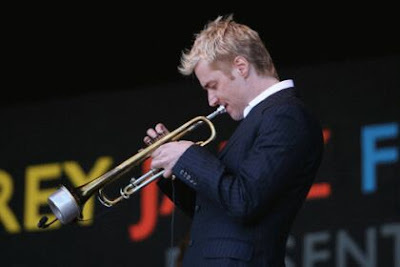 Just before turning in around 10ish, I switched on PBS to find Chris Botti in concert. Playing repertoire mostly culled from his two hit albums, "When I Fall In Love" and "To Love Again," Chris was joined onstage by some of the world's most accomplished singers and musicians, Sting, Jill Scott, Paula Cole, Burt Bacharach. That kept me up till 11, and I figured that losing a little sleep would not be much of a setback. 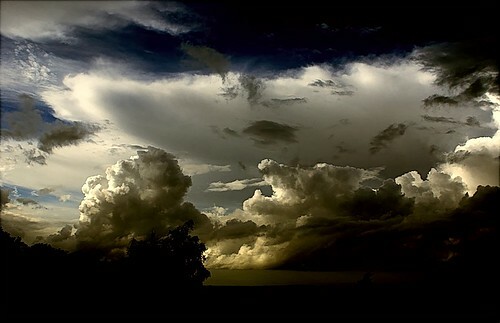 Around midnight the thunder storms started rolling through. More often than not, they last a half hour, more or less. At 4AM they were still rumbling through the area. The dogs had taken shelter in the basement with the lovely wife. Needless to say it was a resless nights sleep and the first look at the clock showed the time to be 6:15. ("I'm late, I'm late, for a very important date"). I need to leave the house by 6:30 to get to work on time and some scrambling got me out of the door just a little late. Again no riding, but kick boxing with Mary Beth tonight will more than make up for the aerobic part, but the lack of bike miles is beginning to get to me. Tomorrow for sure. Maybe.